With the cooler the Lake Texoma water temperature has been steadily dropping. These conditions have perked the stripers up and made for easy pickings. Out of the past two weeks I have fished all but one day and have had great results each day. 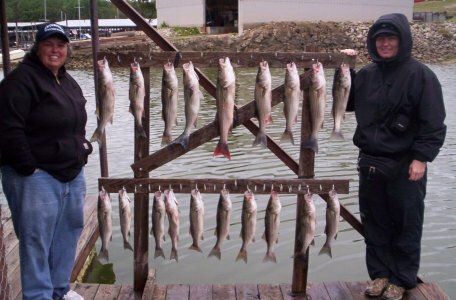 We have seen some good looking limits of Lake Texoma stripers on these trips.